Miami, FL – Drew Estate announced today that they have hired renowned American pipe maker Grant Batson to head up their pipe division, which includes their Drew Estate Classics pipe tobacco line, along with their Drew Estate Pipe Collection by Tsuge. Drew Estate is also the exclusive North American distributor for Tsuge Pipes out of Japan. 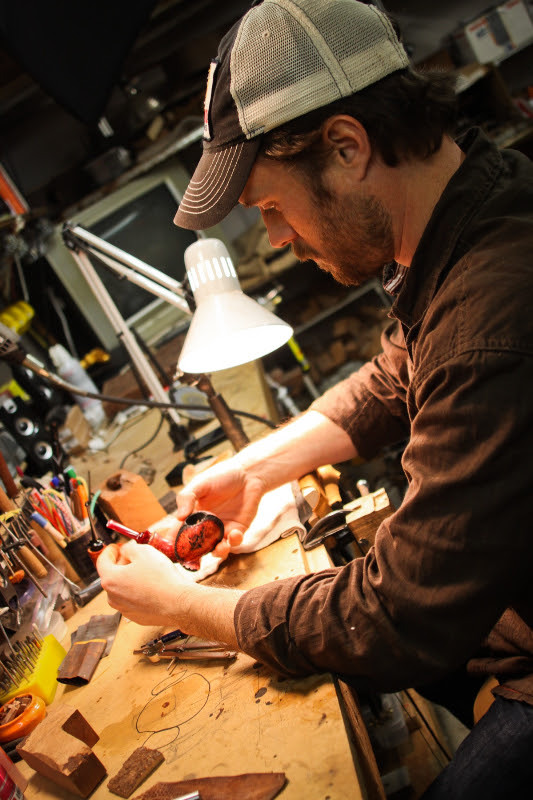 Grant Batson has been a pipe enthusiast since 1994 and has been making handcrafted tobacco pipes out of his Nashville workshop since 2012. During this time, Grant has gathered an in--‐depth knowledge of the American pipe market. He has garnered respect from some of the top pipe makers in the world and will now bring his talents to Drew Estate. Drew Estate entered the pipe tobacco market in 2013 with the introduction of their Drew Estate Classics line of pipe tobaccos, featuring eight unique blends consisting of six aromatic blends along with an English blend (“Meat Pie”) and a Virginia pressed flake tobacco blend (“Gatsby Luxury Flake”). In May of 2014, Drew Estate announced that they would become the exclusive distributor of Tsuge Pipe in the US and Canada. They followed this news up in July 2014 with the announcement of the “Drew Estate Pipe Collection by Tsuge”, a new line of Drew Estate-designed pipes made by Tsuge Pipe in Japan. Drew Estate announced at the same time that they would be distributing eight new Tsuge pipe tobacco blends, which include four aromatic blends named “The Four Seasons” and four traditional blends named “The God Series”. This release marked the first time the Tsuge brand would be featured on a pipe tobacco blend. Grant Batson will appear at Drew Estate and Tsuge pipe events nationwide. Check the Drew Estate events page at http://drewestate.com/events to see when Grant will be visiting a store near you. Also, follow @grantbatson on social media to see his work and learn more about Grant.